Join us as we countdown to camp with monthly featured campers! MEET PRESTON: A joyful, energetic, happy guy with a great sense of humor. 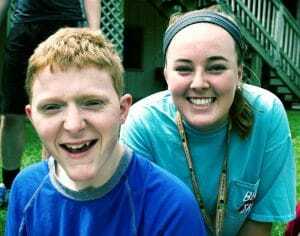 Preston has attended Camp Barnabas for the past 12 years. When he’s not at camp, he attends a day training program and lives in a residential facility. Preston loves to hang out with fellow adults and is one tech-savvy guy! 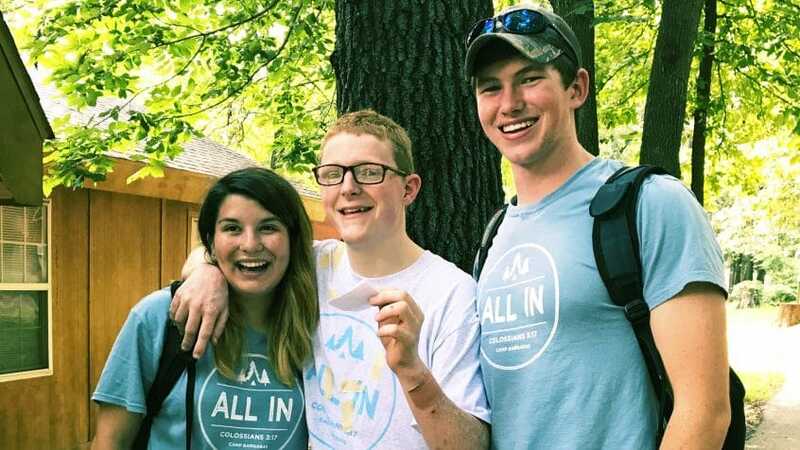 Preston arriving at Camp Barnabas. Preston: I love to hang out with the staff where I live and “help” them. I work by making key chains, crushing cans, and doing laundry. I love to go on outings to McDonald’s and Wal-Mart. Question: What challenges do you face outside of Camp? Preston: I don’t get to do much on my own. Question: What is your primary diagnosis? Preston: Hanging out with friends (I love all the staff). Preston making new friends at camp. Preston: I love the attention and care I get at camp. Question: What’s life like when you aren’t at Camp? Preston: I’m probably too busy to eat much. Preston: To live more independently. Preston: It means the world to me! I ask to go back the day it ends. 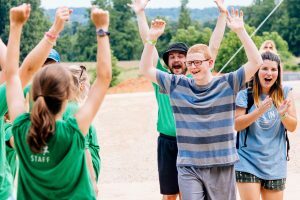 We can’t wait to see you back at camp, Preston!